Seventeen years ago the Unique Property Bulletin featured an old wreck of a building which we fell in love with. Three friends from the Bulletin then joined together. Two sent £6,000 to our solicitor and one sent £12,000. The resultant £24,000 was destined to the owner of a spectacular Art Deco structure on the renowned Mull of Kintyre. Long story short (covered in the Feature Article below) the £24,000 building ended up not being kept, but was resold by us via our backup “Plan B”. This accidentally resulted in over £102,500 resale proceeds coming back into our solicitors. A nice accident! When the enhanced solicitor’s property resale cheques arrived through the letterboxes belonging to each of the friends, there were very big smiles all round. The pot grew and grew with many unusual property adventures along the way. Helicopter not included. Though oddly enough, the island helipad was included in the ownership. Bringing all this up to the present time – 31st May 2015 – in that Bulletin edition, we featured a new syndicate, with our lucky number £6,000 being the entry level for parts of an old Tower at Kinfauns. The resultant number of emails we received showing interest was a (very pleasant) surprise. Several emails were from folk who were “definite” about joining. It was also really nice that folk got it – understood the fun these asset backed unique property adventures have within them. Like the film Back To The Future, and just for a bit of enjoyment of it, we want to show a similar style of end result to the 1998 start of all this. From a few folk back then with a £6,000 stake in a small and relatively obscure unusual property, we ended up with a unique set of former lighthouse keepers’ homes on Ailsa Craig Island (click here). This time round, just to show where our syndicate members could end up, we illustrate the unique Hunda Island as pictured above – having come onto the sale market recently. 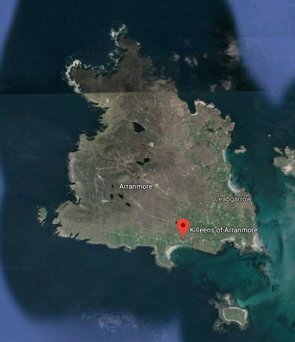 Also there is a very interesting syndicate proposition over on the West Coast at Tanera Mòr Island with a wonderful proposition that has many acres of land and 10 houses. Such an island with individual dwellings would lend itself to being distilled into bite sized chunks with a house and several acres for each syndicate member at very affordable prices. Rather than the relatively indigestible £1,950,000 price tag for the whole island at Tanera Mòr. 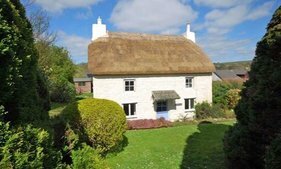 Single houses, if bought via unique property syndicate would average at around £195,000 per detached house, and that £195,000 can be grown from a seedcorn of £6,000. 17 years of practical experience has shown this to be eminently possible. We are happy to share the experiences. For Sale: Isle Of Tanera Mòr, Achiltibuie, Ullapool, Ross-Shire, IV26 2YN – Photo (c) Chris S.
Please Note: If you are interested in buying just ONE of the 10 houses on Tanera Mòr Island, – ranging from £50,000 to £240,000 per house and around 4 acres of land – please note this option is only available via coordinated effort via Unique Property Bulletin: click here to ask for more details. Back to Ailsa Craig Island – this is just one example of where small beginnings of a £6,000-per-member syndicate adventures can end up. It worked well in the past with much experience gained over 18 previous unique property syndicates, Maybe we can go Back To The Future and have another journey of interest with unique places to buy, sell, buy and then live in? Yorkshire Nuclear Bunker Makes Your Heartbeat? We like to cover all price ranges and all areas of the UK. From ten million pound London Underground Stations, to this more modest, but popular genre of UKWMO underground nuclear bunkers, like the current one we have for sale guided at £19,500. This example was sent to us directly from the owner who has, after many years, decided to sell. We understand that Goathland is where the television series Heartbeat (photo montage click here) (and here) was filmed. Not too sure if they ever had an episode with an underground bunker in it, but looks like a very nice place to visit and tour around. Lighthouse Cottages, Rattray Head, Rattray, Peterhead. The Lake District is an exceptionally beautiful part of the country. The property prices reflect the popularity of this area. So we are keen to feature this diminutive little detached building, which is just a few miles from the wonderful Lake Windermere and Coniston Water. The guide price is just pennies compared to many properties in the location. In fact it is more than likely this little bank has usually had more than £40,000 within it’s walls at any given time (in the past). An odd thought given that the real and physical building has a value less than the paper notes it once housed. We also have a keen interest in old banks given our own adventures buying one – as narrated on one of our sister websites here. For anyone who has had the difficulty trying to persuade an obdurate bank manager that a unique building is real and worthy of mortgage assistance, the actuality of buying the old place of work of that stubborn mortgage naysayer carries a huge amount of satisfaction, and a fair dose or irony. Though that is another story for another day. If you do buy this little bank in Cumbria, maybe let us know how you get on? Thanks. Air Control Tower, Winkleigh Airfield, Winkleigh, Devon. We know at least one Bulletin reader who went up to look at this former Air Control Tower in Devon. Though from our understanding the notice period between becoming aware of the sale and the auction date was too short to sort out due-diligence etc. For some reason this property entry into auction is now marked as “postponed”. Maybe it’s the old memory, but shortly after the auction it seemed to be listed as “sold”. Not too sure what the story is, though for those who like old WWII Air Control Towers, this is one worth keeping an eye on. 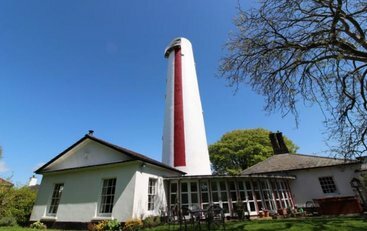 With regard to the Devonian Air Control Tower for sale at a guide of £35,000 – the former RAF watch tower was part of a night fighter station during the Second World War and we understand that this building is listed by English Heritage as a Scheduled Monument. External viewing only. Any internal viewing is at VISITORS RISK. Further Details: Click Here (Currently marked as “postponed” but worth keeping an eye on). Contact – Clive Emson Auctions Tel: 01392 366555 – Scott Gray or Katie Semmens. The owners have just advised us that the price for this impressive building at Cambridgeshire has been reduced from £265,000 to £249,995. It is a partially restored, former Methodist Chapel which has planning consent granted for conversion to a large, luxury 3-4 bedroom home. Included therein are a with a master suite consisting of large bedroom, en-suite and dressing room on a mezzanine level (to be installed). Formal separate sitting room and a huge open plan main living area, consisting of living/dining area, kitchen, toilet and storage cupboard. Work has been started on the property and approximately £100,000 has been spent so far. The ground floor area is approximately 2368.1 square feet or 220 square metres. Guide: Was £265,000 – Now £249,995. Alert reader may recall we featured the former Ranger’s football owner, Craig Whyte was having his castle sold off by the mortgage company (Click Here). Indeed after that event, it was one of our alert readers who spotted that the Castle Grant East Lodge has also come up for sale separately to the main castle (thankyou to our eagle eyed friend for emailing this one in). It is a splendid looking lodge. There are several very nice pictures for Bulletin readers to enjoy – just click the ‘Further Details’ weblink below. Location: East Lodge, Castle Grant, Grantown-on-spey, Morayshire, PH26 3PS. The auctioneer trails this former iron works … “Price Reduction – Previous Guide Price £75,000 + Substantial 4.41 Acre Site”. It is a lot of land and property for the money. But what to do with it? What to keep, and what should go? Questions you might be able to answer. A vision of the future for this interesting site might be brought forward if you stick your paw in the air at the auction and the gavel cracks the oak bench in your favour. The Pink House, Cooper Street, Plockton. A Fairly Rare Feature – Your Own Private Mooring. Okay, so this house isn’t as unique as many we feature – though it has a lot of charm. What does stand out, and we are bias is Hamish MacBeth’s village location. The place is sublime. Plus you have a lovely back garden and your own private mooring just a short way from the old Hamish MacBeth television series police station. This is really cool as you can direct the webcam from your computer keyboard – whether nearby in Inverness, further afield in London, or even as some of our readers do, via Australia, New Zealand, America or Canada. The original Hamish MacBeth television series episodes were filmed in Plockton between 26 March 1995 to 4th May 1997, early on in the career of actor Robert Carlyle. 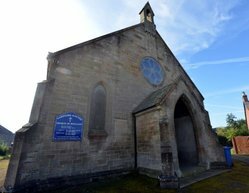 Whilst listing the current Plockton/Loch Dubh property, we were thinking – would there be any interest from those Unique Property Bulletin readers who are so minded to ask the production company if Robert Carlyle might reprise his role as the unique policeman, say for a final 3 years/series running up to his retirement from Loch Dubh Police Station? Please email us if you have a view on this: Click Here. This former radar station conversion occupies a wonderful, rural location to the north of Dirleton, between the village and Yellowcraig beach. The house, which was formerly a World War 2 radar station, was converted by the current owners into the truly magnificent home that it is today. The extensive accommodation is arranged over ground and first floors and is ideal for family living and entertaining on a grand scale. The architecture is cutting-edge, with clean lines and a fabulous quality of finish throughout. An amazing transformation from this…. Okay, so this is at the top end of most readers’ budget. 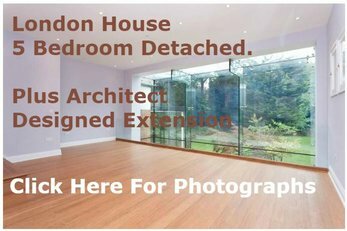 But just click on the estate agency link below and scroll through the photographs. What an adventure there is to be had with this one. There are lots of buildings to play with that are included in the price. EPC Rating = G. The Mansion doesn’t quite have an EPC rating as it is a bit draughty, with no roof and that! Congratulations on really imaginative architecture that inspires the mind. We first featured this property in the old paper version of Unique Property Bulletin over 20 years ago. So it is really time we let anyone who hasn’t yet come across this wonder know about the possibility of spending a few days on holiday here. Especially if you are thinking of buying your very own tower property and would like to experience what it is like to live on several floors, ultimately headed towards the clouds! Guide: From £525 – Click Here. There is a considerable amount of holiday accommodation included for the price: Click Here To See. If split between four or more holiday participants, then this magnificent and memorable holiday destination is very good value for money – when compared to the generic motorway lodge motel with every room of a generic nature. Why have a view oevr a motorway car park, when you can stay in the clouds and see for miles. One Example of The Eventual Destination Style – The Unique Hunda Island. Transforming Impossible Dreams Into Reality. An astounding £102,500 coming back into our solicitors for distribution to the three friends. Actually at the point where the handsome solicitor’s cheques arrived the small syndicate members went from being just friends, to very good friends! It should be emphasised that since then not all syndicates have been so profitable. Approximately 14 have certainly been profitable, 2 broke even and 2 made a modest loss. Though over the long term there is no denying the money side of things has been very good. Hopefully, from the above illustrations of how £6,000 seedcorn money can evolve in a lifetime’s dream for a group of friends owning a private island complex of properties, you too can look at growing your own funds in a way that a bank manager can’t? Especially with interest rates at a miserly 1% to 2%. Plus these syndicates are asset backed. Just check out the official solicitor statements of account for just a couple of these Unique Property Syndicates – Click Here. In 1998 none of the three original syndicate members could have afforded a host of lighthouse keepers’ homes plus the main part (and exclusivity of owning the only pier and helicopter pad) of an island. That is what we mean by The Dream Home: Making It happen. The same thing just happened with the Binn Hill Tower syndicate…. Our unique property syndicate group made formal offers on Dunnet Head Lighthouse Compound, and then subsequently Binn Hill Tower at Kinfauns. Both properties had bids that were higher than ours. This is very frustrating. There is a dilemma of not wanting to bid too much, but also complicated a little due to the reach of the Bulletin (now over 40,000 readers) – which seems to be stimulating other interested parties to buy the whole property under consideration. So from this point onward, ALL future candidate properties for Unique Property Syndicates will be OFFSITE and details emailed only to syndicate members…. …and we shall do the rest. There is NO obligation, you will just receive an occasional email with candidate properties to consider. To all those who have emailed in regarding the Binn Hill Tower, we say a big thank you. This last few weeks has been genuinely uplifting for the revival of Unique Property Syndicates (after a cold recession when many of us didn’t want to come out and play). 61 Initial enquiries about the Tower Syndicate. 11 Folk indicating they were “DEFINITE” in terms of joining the Tower Syndicate. 22 Additional readers wanting to consider buying the Tower outright at £24,000. Given the gazump, the Binn Hill Tower syndicate didn’t go ahead – but at least we now know for sure sufficient folk are keen to dip their toe into the water with us and the reboot of our Unique Property Syndicates. So what next? Well it helps to think laterally. If you read this website, the odds are you like unusual property. Our own favourites might not resonate 100% with yours, but the path can be shared for a while – until the dream home funds are grown sufficiently, and each reader’s individual stake is sufficient to achieve that ultimate unique home. In essence we have found from the previous 18 syndicates that all unique property syndicates have been enjoyable and interesting, and have had a long term success rate that has enabled these dreams to be realised. 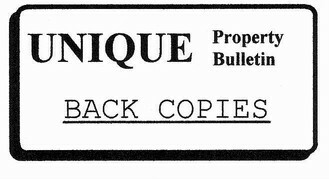 As mentioned earlier, take a look at a few back-copy editions of the Unique Property Bulletin. If there are any properties like the Tower at Kinfauns that catch your eye, please let us know? For syndicate suitability they need to be structurally divisible so that each member can be capable of owning 100% of part of any given property – if the remarketing and resale option doesn’t result in a 3 to 4 month resale turnaround. In the rare case when a resale doesn’t happen expeditiously, what has occurred in the past, is one of the members has been generally happy to buy each of the others out so they can progress onto the next project. That way folk don’t get “stuck” with any particular unique property, and can keep rotating their stake money until the fund each participant grows substantially enough to secure that dream home – whatever style sets your pulse racing. This is the whole point of illustrating just what happens when three folk start a small syndicate and grow their funds (with several other like minded folk joining in, along the way). Much fun can be had with a dream of an island – or whatever floats your boat – home becoming very real. For example maybe another island…. Of course there are several other syndicate adventures to recount, but for this Bulletin edition we don’t want to go on too much. Hopefully like minded readers have “got it” – the idea of growing funds in an interesting way until the point is reached where each member’s dream home can be realised. …and we will do the rest for you. Thanks.